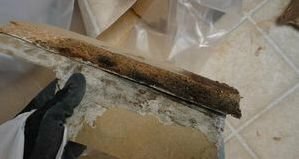 911 Restoration Milwaukee has experts with years of experience makes us experts in mold removal services and water damage restorations. 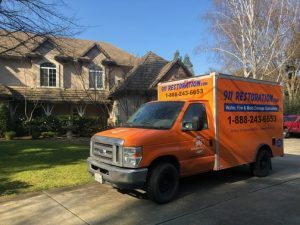 The aim of our company is not to just restore homes; it also means restoring peace in the homeowner with a fresh start. The mold removal Milwaukee team excels in exhibiting the fresh start attitude. See, everyone deserves a second chance when they have experienced a break in tranquility caused by a disaster or mold. We know you have worked hard for your life, and we work even harder to ensure in the moment you call us, that you are going to be on a path that is better than anything that came before. Achieving this means that we need be available 24/7/365. Come rain or snow, in any emergency we can be there within 45-minutes for same day service. A call to us is a call to an insured, bonded, and licensed mold removal Milwaukee team that 911 Restoration employs. If you are done thinking about mold, call us and we will get it off your mind, fast so give us a call for help today! Most restoration companies will not give away trade secrets that can help customers avoid mold. Luckily for you, we became industry-leading by providing support every way we know how. Check your ceiling for signs of color changes. If your roof has been compromised then it will allow snow pack and rain through. This causes discoloration and will let moisture be trapped, causing mold. Moreover, make sure gutters are clear to allow proper water run-off as to keep it out of the home. Surface mold on tile can be taken care of by simply cleaning it. If you find mold and cracked drywall, or if it is on wooden structures, then call 911 Restoration ASAP. It could be a sign of major water damage. On top of that, mold is everywhere. The real concerns are when mold exacerbates allergies, or when it takes over cornerstone structures. Homeowners should be on the lookout for musty smells, and funny looking dirt. For example, mold looks fuzzy and comes in a wide array of colors. If you encounter a lot of mold, it will not go away with a bleach solution. That is when you should call us, the professionals. Call our Mold Removal Milwaukee team for expert service you can trust. The mold removal Milwaukee team at 911 Restoration is IICRC certified, so you can trust that we can handle a wide variety of mold remediation services. We work with carpet, wood flooring, and tile. On top of that, we trained to handle industrial-grade equipment and caustic chemicals. Our free visual home inspection that the knowledgeable technicians carry out can find the source and cause of mold. To elaborate, mold is almost always caused by water damage that is undetectable to the untrained eye. That is why our eyes are high-tech. Infrared cameras allow us to find trapped moisture, which will always lead to discovering mold that otherwise was undetectable. For customers, this means that we find and remove mold that might not have been view able otherwise. The water is no match for our mold removal Milwaukee team’s dryers. There will be no humidity left to cause anymore mold in the future. This is also inclusive in our mold removal restoration work. Furthermore, we use antibacterial supplies to ensure that mold growth in the future will not occur. The caustic solutions we use sanitize surfaces, so they will be less likely to harbor infestations in the future. If you need professionals that are thorough and transparent, call 911 Restoration.